Carrence Bass founded Making Strides For Autism, Inc. (MS4A) while working from her dining room table. A disabled veteran and mother of a son with autism had helped families for 5 years find resources needed on their autism journey. Since her son was first diagnosed with autism in 2009, she began to isolate herself because of the lack of understanding by friends, family, and the community. She faced many struggles navigating through the maze of accessing care for her son and dealing with her own disability. The more families she helped, the more she realized she wasn't alone. Autism had no financial, racial, or religious barriers. It impacted everyone. Families were struggling emotionally and financially as they attempted to navigate on this new journey with autism. It's not an easy path and more awareness was needed in the community. She wished it was a way she could do more. In February of 2016, she reached out to the City of Jacksonville Disabled Services Division to partner and have Mayor Lenny Curry sign a proclamation and host the first World Autism Day Kickoff for families to unite and have access to local service providers on April 2. While Carrence was planning the event, an idea emerged to start a unique nonprofit organization. She reached out to fellow autism parents, Angela Clance, Meochia Clayton, Mary Foley, Kimberly Copeland, and autism advocate, Christian McNeill to sit on the initial Board of Directors. All had previously served as Chairman on the Walk Now for Autism Speaks in Jacksonville and are active advocates for autism in the Northeast Florida community. Through their support, she realized it was time to start a nonprofit consisting of families and supporters paying-it-forward to meet the unmet needs of autism families and connecting the community. The event was a success! Thus, Making Strides For Autism, Inc. (MS4A) was formed on March 31, 2016. Her journey from Human Resources Generalist to President/CEO has been fueled by her passion for serving autism families, connecting the community, and touching as many lives as possible. Our team is growing, our families have grown and we continue to create unique partnerships that form an alliance of businesses and agencies through our Friends With Autism Initiative launched April 1, 2017. Creating a more autism-friendly community is just the beginning. Each family and new opportunity we have become a part of has taught us and expanded how we offer services to the community. Through our Facebook page and other social sites, we touch families across Northeast Florida and beyond. In October of 2017 we moved into our first office inside of the Northeast Florida Women Veteran's building. Through their organization we're able to offer our services and programs to women Veteran's with children on the spectrum. As well as assist military and Veteran autism parents transition their child's Exceptional Family Member Program (E.F.M.P.) services over into the civilian sector at the end of their enlistment. Our goal is to open a 5000+ sf MS4A Center in 2019 and raise the capital needed to purchase the equipment to help the growing need for employment and work related opportunities for people with autism in Northeast Florida.​ MS4A's center is extremely unique and will offer a new level of support for Northeast Florida. While we're a small nonprofit. We're making major impact! We're creating the more autism-friendly Northeast Florida community of tomorrow. From Small Steps, To Making Strides... We Connect the Community to Autism! March 31, 2016 - Making Strides For Autism, Inc. (MS4A) was founded. April 1, 2016 - Through the collaborative efforts of Making Strides For Autism, Inc., City of Jacksonville's Disabled Services, Division, and Autism Speaks - Jacksonville, Mayor Lenny Curry signed the Proclamation declaring April 1, 2016, World Autism Awareness Day and the month of April National Autism Awareness Month. April 2, 2016 - Partnered with City of Jacksonville Disabled Services Division and Autism Speaks - Jacksonville to host the World Autism Awareness Day/Light It Up Blue Kickoff at Hemming Plaza. Over 150 families attended and 10 local service providers set up to offer information about their services to families. April 2016 - Hosted Art Touched by Autism. a silent auction displaying to art pieces of local artist and collaboration pieces by artist and children on the autism spectrum at Downtown Cigar Lounge - DCL AID. The silent auction was part of Downtown Vision, Inc.'s Art Walk. August 2016 - Partnered with UF Health Developmental Pediatrics and Hope Haven to host the 1st annual Backpacks-4-Autism School Supply Drive. 56 children living with autism received free backpacks and sensory bags. November 11, 2016 - Joined Northeast Florida Advocates for Autism and Related Disabilities, Inc. to host the 1st annual AUmazing Cornmaze Festival/Fall Festival at Conner's A-maiz-ing Acres. 300 families enjoyed a fun autism-friendly day on the Conner's farm. April 1, 2017 - In a collaborative effort, Making Strides For Autism, Inc. and the City of Jacksonville's Disabled Services Division, Mayor Lenny Curry signed the second Proclamation declaring April 1, 2017, World Autism Awareness Day and the month of April National Autism Awareness Month in the city of Jacksonville, FL. The 2017 Proclamation launched the Friends With Autism Community Outreach Initiative that will provide Free online educational materials for the community and Popup Sensory Break Rooms for autism families to enjoy community events, festivals, and venues. April 2, 2017 - Partnered with the City of Jacksonville Disabled Services Division to host 2nd annual World Autism Awareness Day Kickoff at Riverside Arts Market. June 14, 2017 - Trained the City of Jacksonville Parks and Recreation Summer Camp counselors on creating a more autism-friendly summer camp program. August 5, 2017 - Partnered with Embrace Community Center, Northeast Florida Advocates for Autism and Related Disabilities, Proactive Life Skills, We Rock the Spectrum, and Sawgrass Marriott Resort and Spa to collect school supplies and host the 2nd annual Backpacks-4-Autism School Supply Drive. The supply drive provided 145 backpacks to autistic children in Northeast Florida. Making Strides For Autism, Inc. and Proactive Life Skills hosted the Back to School Bash preparing autism families for success as they returned to school in the Fall of 2017. August 9, 2017 - Received a generous grant from Merlin's Magic Wand Charity to take autism families on the 1st Gift-a-Wish Inclusion Trip. Families traveled to LEGOLAND Florida in Orlando on a deluxe Annett charter bus for a magical day out. LEGOLAND 's staff provided V.I.P. park tours, 2 private sensory rooms, and an educational experiences for 16 First Coast autism families. August 12, 2017 - Partnered with Morale Welfare and Recreation at Navel Station Mayport and base School Liaisons to offer our Popup Sensory Break Room and resources to military and veteran autism families for their Back to School events and future community events. ​September 2, 2017 - Hosted the 1st annual Jeepin' 4 Autism Charity Jeep Run. Started at 4 Wheel Parts headed to Palm Valley Outdoors. For the 1st time 64 Jeep Enthusiast from all over Florida and Georgia rode to promote awareness, acceptance, inclusion, and support for Northeast Florida autism families. ​September 10, 2017 - Partnered with Velocity Air Sports - Jacksonville to host an Autism Birthday Wish Club Party for children living with autism and special needs. This event was part of the Friends With Autism Initiative. ​October 1, 2017 - Moved into our first office inside the Northeast Florida Women Veteran's building. In November, we will offer autism-friendly consulting, Popup Sensory Break Room rentals, online resources, workshops, resource navigation services, emergency crises assistance, and our Autism DADvocates Program (Under FND DADVOCATES Network to the community. ​November 8, 2017 - Our Friends With Autism 5K and Community Walk joined Mayor Lenny Curry's Journey to ONE Mayorthons. As well as launching our Autism DADvocacates Network's "Commit To Be Fit" Campaign. Commit To Be Fit is a 10 Week Fitness Meetup encouraging all dads and families to bring their children and join our Autism DADvocates running or walking JAX PARK with us as starting December 10, 2017. November 11, 2017 - Once again MS4A will join Northeast Florida Advocates for Autism and Related Disabilities, Inc. to host a AUmazing Family Fall Festival at Conner's A-maizing Acres in Hilliard, FL..
December 10, 2017 - February 10, 2018 - Hosted the Autism DADvocates Commit To Be Fit 10 Week Fitness Meetup will start at JAX PARKS. Commit To Be Fit assisted autism families to become more active, promoted weight loss, and overall health goals. We meet every Saturday morning from 10:00 am - 11:15 am at the following parks for 3 weeks each: Ed Austin Regional Park, Bob Hayes Sports Complex, and Losco Regional Park. 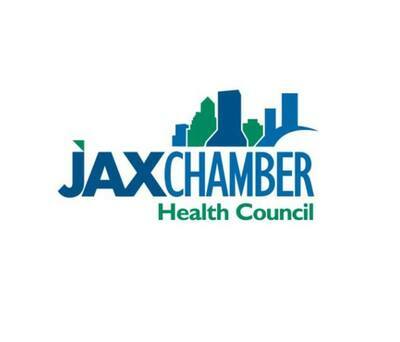 Commit To Be Fit is part of the Journey To ONE Initiative, Jax Mayorthon Kid's Club, and Friends With Autism 5K and Community Walk Mayorthon. 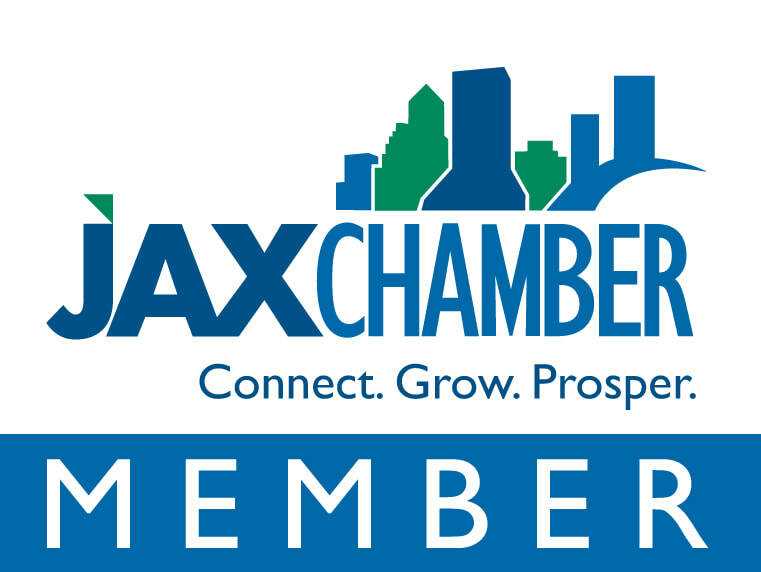 December 15, 2017 - Completed the Jax Bridges Program with the Jax Chamber Entrepreneurial Growth Division that connects small companies with opportunities to do business with larger corporations. The program provided the insight to launch our Friends With Autism Initiative's Autism-Friendly Business services and products. The Initiative solves the community's inclusion and accessibility problems. As well as provides employment for autistic adults. February 1, 2018 - Published the Friends With Autism Magazine. It is the first publication for autism in our region. It is Northeast Florida and surrounding area's ONLY magazine for Autism Spectrum Disorders. Our magazine provides a resource for University of North Florida's Thrive Program for students on the autism spectrum to gain career experience in communications, marketing, public relations, photography, and other areas of study. April 8, 2018 - Hosted the 3rd annual World Autism Awareness Day Kickoff with City of Jacksonville Disabled Services Division at Riverside Arts Market. Over 50 resource providers and businesses attended making it the largest community resource fair ever held specially for the autism community in Northeast Florida. April 13, 2018 - Celebrated our 2nd-year Anniversary and ribbon cutting ceremony in our first office. The Ribbon Cutting was facilitated by the Jacksonville Chamber of Commerce, Guest enjoyed brief speeches by Tina Robbin Jax Chamber Representative, Kevin McDaniel Chief of Disabled Services/ADA Coordinator City of Jacksonville, and Carrence Bass President/CEO Making Strides For Autism, Which was followed by facility tours, crafts for the kids, networking, and refreshments. Our office new is located inside of the Northeast Florida Women Veterans' building at 2133 Broadway Avenue, Jacksonville, FL 32209. Present to August 4, 2018 - We're collecting school supplies and donations for the 3rd annual Backpacks-4-Autism school supply drive and Back 2 School Bash. This year's goal is to provide 200 backpacks filled with school supplies and our Friends With Autism Sensory Bag to 200 students with autism in Northeast Florida public, private, and home schools. To become an event sponsor, sponsor sensory bags, or create a school supply drive contact info@makingstridesforautism.org. ​Summer 2018 - Will offer job training and meaningful jobs for autistic adults in our Sensory Shop. Our shop will offer our Friends With Autism Sensory Bags and Break Boxes to Northeast Florida Businesses that partner with MS4A's Friends With Autism Initiative. The bags and boxes are assembled by autistic adults and the weighted lap pads are handmade by autistic adults and women veterans in Northeast Florida. Our goal is to offer our Sensory Bags nationwide to make businesses and communities more accessible and accommodating to autism families, Veterans, and those that have anxiety or sensory challenges in public settings. ​September 2, 2018 - Will host the 3rd annual Jeepin' 4 Autism to ride to raise awareness for autism in Northeast Florida. Pre-sale tickets go on sale on May 5th, 2018. ​Fall 2018 - We will host monthly Family Inclusion Outings for autism families at new autism-friendly business locations, professional sporting events, and entertainment venues. We now offer parent support groupsand autism-friendly business consulting, Mobile Sensory Break Room/Tent rentals at community events, sports venues, and military events. A COPY OF THE OFFICIAL REGISTRATION AND FINANCIAL INFORMATION MAY BE OBTAINED FROM THE DIVISION OF CONSUMER SERVICES BY CALLING FDACS's TOLL-FREE NUMBER 1-800-HELP-FLA (435-7352) WITHIN THE STATE. OR VISITING www.freshfromflorida.com. REGISTRATION DOES NOT IMPLY ENDORSEMENT, APPROVAL, OR RECOMMENDATION BY THE STATE.